PHP 5.5.9 or higher (preferably PHP 7.0), with GD library, JSON, cURL, mysqli , Mbstring, DOM, OpenSSL and XML PHP extensions enabled. PHP 7.2 is not supported on the current release. Download Drupal 8 and install if from source, or install Drupal 8 using Composer. If you downloaded and extracted Drupal from source, you can skip this step and go to step 6. This will run the composer install process again remove everyhing from the “require-dev” section from the composer.lock file. # Access control list for PURGE requests. # Add an X-Forwarded-For header with the client IP address. # Only allow PURGE requests from IP addresses in the ‘purge’ ACL. # Only allow BAN requests from IP addresses in the ‘purge’ ACL. # Throw a synthetic page so the request won’t go to the backend. # Only cache GET and HEAD requests (pass through POST requests). # Pass through any administrative or AJAX-related paths. # Removing cookies for static content so Varnish caches these files. # previously back. (\1) is first matching group in the regsuball. # no space after the preceding semi-colon. # Set a header to track a cache HITs and MISSes. # Remove ban-lurker friendly custom headers when delivering to client. 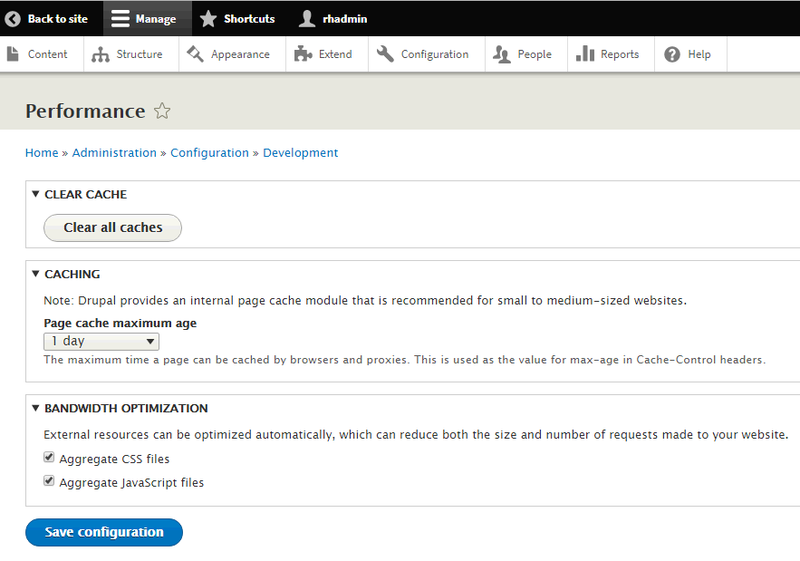 # Comment these for easier Drupal cache tag debugging in development. # Set ban-lurker friendly custom headers. # Cache 404s, 301s, at 500s with a short lifetime to protect the backend. # Don’t allow static files to set cookies. # Allow items to remain in cache up to 6 hours past their cache expiration. Also, change the port from 80 to 8080 in all virtual hosts located in /etc/apache2/sites-available directory. If you downloaded Drupal 8 using Composer, replace ‘/var/www/html/yourdomain.com’ with ‘/var/www/html/yourdomain.com/web’ in the ‘DocumentRoot’ and ‘Directory’ virtual host directives. Open http://yourdomain.com in a web browser , choose install language, click on the ‘Save and continue’ button, select an installation profile (standard), enter the database name, username and password and start the installation. Once installed, you will automatically be redirected to the Drupal 8 administration back-end. 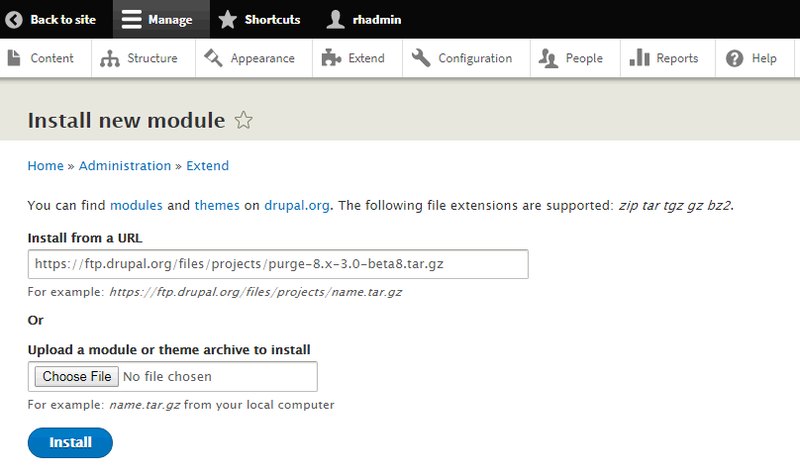 Install the Purge module from the Drupal 8 administration back-end by clicking on Extend >> Install new module , then enter: https://ftp.drupal.org/files/projects/purge-8.x-3.0-beta8.tar.gz in the ‘Install from a URL’ field and click on the ‘Install’ button. Then, install the Varnish Purger module by clicking on Extend >> Install new module >> enter: https://ftp.drupal.org/files/projects/purge-8.x-3.0-beta8.tar.gz in the ‘Install from a URL’ field and click on the ‘Install’ button. Open http://yourdomain.com/admin/modules and select Purge, Purge Drush, Purge Tokens, Purge UI, Cron processor, Late runtime processor, Core tags queuer, Varnish Focal Point Purger, Varnish Image Purge, Varnish Purger and Varnish Purger Tags, then click on the ‘Install’ button. Configure the Purger’s headers by clicking on Headers >> and enter ‘Cache-Tags’ in the header field with the value [invalidation:expression] and click on the ‘Save configuration’ button. You can also use varnishadm, varnishstat and varnishlog command line utilities to check if everything works OK.
That is it. Drupal 8 has been configured to use Varnish. Of course you don’t have to speed up Drupal using Varnish on Debian 9, if you use one of our Linux Server Support Services, in which case you can simply ask our expert Linux admins to do this for you. They are available 24×7 and will take care of your request immediately. PS. 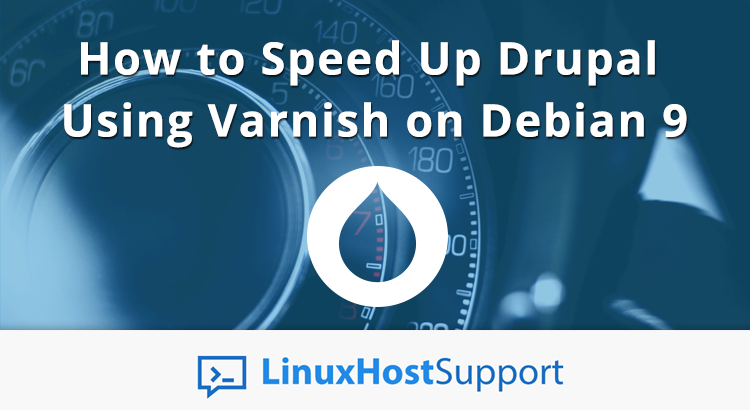 If you liked this post, on how to to speed up Drupal using Varnish on Debian, please share it with your friends on the social networks using the buttons on the left or simply leave a reply below. Thanks.